Ever heard the term “Rainbow Baby”? A baby born after a miscarriage, stillbirth, neonatal loss, or infant death. I heard the phrase for the first time this morning almost immediately after learning of the NICU death of a friend of a friend’s micropreemie. Thank goodness not in the same conversation, because responding to the death of a child in the NICU with anything other than tears and a hug, a heartfelt expression of empathy, or holding space for grief is inappropriate. My heart breaks for those parents. In this context, I cannot help but think of my losses (all during pregnancy) and the fears I carried for my micropreemie until he stabilized and started meeting normal developmental milestones. Miscarriage is very common and still a taboo topic in many circles. Many families suffer alone (and too often, women suffer alone despite a partner being present). I have a child for every miscarriage I suffered while trying for 2 kids. One before my first child and 3 between him and the triplets. None of the miscarriages were ever understood or explained. I had given up trying for a second child when the triplets were conceived. Triplets, though wonderful, are a challenge I do not wish on anyone. From the high risk pregnancy to the never-ending parade of too many crying babies with not enough adult hands to care for to the cost of having extra children who do not benefit from hand-me-downs, having triplets has always been almost more than I could handle. And my marriage didn’t survive the stress. To say that if I believed in God, I would also believe God has a sick sense of humour is an understatement. I don’t like the cuteness of the term, but all my kids are Rainbow Babies and they take my breath away when I don’t take them for granted. They bring me great joy – along with all the heartaches and struggles that are just part of life with other people. 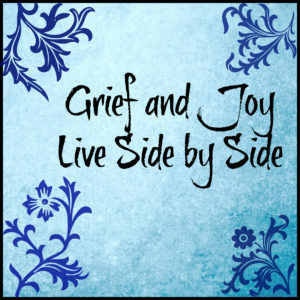 And, the fact of my joy doesn’t eliminate the grief I had over my miscarriages and still carry in my body as memories and experiences. The joy and the grief dance together in my history. Does the joy outweigh the grief? Yes. Does the joy make the grief easier to live with? Yes. Like sugar and salt in the broccoli stir-fry I make for my kids, the sweet and the bitter together make each experience more poignant if we can pay attention to the whole. 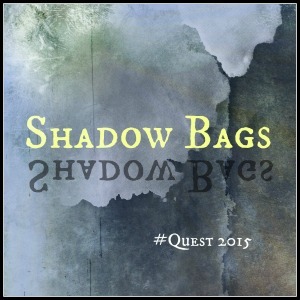 How will you face your shadow bag and stop the stink, so you can bring forth what is best within you in 2015? Klein borrows the term shadow bag from Robert Bly. It refers to the personal part of what Carl G. Jung called our Shadow. It consists of all the parts of ourselves that our parents and communities disapproved of, the parts of ourselves we disowned to be lovable or to fit in. Klein develops the image by imagining those pieces of psyche in the shadow starting to rot and smell. I am not wild about the rotting and smelling analogy. It doesn’t resonate with me. But, I can tell you that I have felt myself being dragged down by the weight of all those parts of myself that I have banished to my shadow bag. When the shadow is unconscious, it shows up when we project it onto other people, hating things about them that we hate in ourselves, or act unconsciously from that shadow material, with rage, or find ourselves committing indiscretions or having accidents that seem meaningful. To be complete as a human being is to acknowledge the whole messy package of humanity, to see ourselves clearly. Some of what we put into our shadow bags is our genius. What makes us unique is often uncomfortable to those around us, especially when we are children being enculturated into a particular communities way of being. Our unique qualities threaten the community because it will have to stretch to embrace those qualities. To face our shadow can be challenging. But the process is simple. All we need to do is notice our own experience and claim it as our experience. The better we get at observing ourselves, the more likely it is we will notice the moments that we hide a part of ourselves away. Later on, we develop the awareness of the experience we had previously hidden and start to have choices about whether we acknowledge the formerly unwanted experience internally or act on it. Either way, we will have shed light on the shadow and have reduced its power to drive us from unconscious places. But, more importantly from the perspective of Quest 2015, by seeing the parts of ourselves that we had hidden, we can choose to bring our forbidden genius to our work. And it all starts with simple self-awareness. Simple, not easy. But stunningly powerful. If you knew that your life’s story would be written based upon your choices and actions in 2015, how would you live? 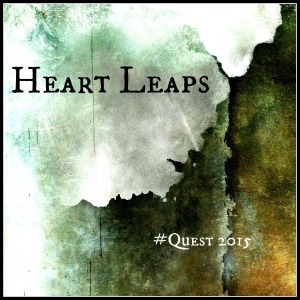 The eighth prompt for reflection in Quest 2015 comes from Todd Henry*. It is so easy to live life on autopilot, going through the things you have always done and letting life hustle you along a well-trodden generic path. Living with intention and making unusual choices based on personal goals is much harder. If I knew my life’s story would be written based on the way I live in 2015, I would live with attention on following my daimon and letting it draw me deep into the work that it has been calling me to for as long as I can remember. My call to deep work joining beauty, goodness, and truth into individual lives of meaning is both a personal call to how I live my life and the foundation of my work as an artist and a creativity and life coach. I must remember to dedicate each day of my life to the embrace of the unique, internally experienced world of each human being, systems of social justice, and scientifically verifiable understandings of the world. Any approach to life that denies one or more of these aspects of the world is insufficient for understanding. I must not fritter away my time. I must create downtime that is truly renewing and allows me to dive deep and work hard. I must create structures for my life that provide space and time for parenting, self-care, writing, and coaching. I must dig deep. I must not shy away from the work when it gets hard. I must surround myself with people who understand and appreciate who I am and what I am doing. I must forgive myself my imperfections and not let them get in the way of my continuing to push forward. I must remember that truth and goodness without beauty are not enough for my soul and that without beauty, the energy I have to contribute to truth and goodness withers. There will be opportunities every day to make choices, small or large, that have an impact of whether my life is following the drives that are an innate part of my being or whether I am resisting out of fear or cultural programming. Making choices that shape my life’s story into a story I am proud of will require me to live with awareness and be willing to stand apart from others, to speak the truth as I see it, to claim my time as I need it, and to disappoint and offend those who would prefer me to make other choices. It is not the easy path, but it is the path I must walk if I wish to live authentically and whole-heartedly. *TODD HENRY is a foremost voice and authority on how teams and individuals can execute brilliant ideas every day. CEO of Accidental Creative and author of the books The Accidental Creative: How to Be Brilliant at a Moment’s Notice and Die Empty: Unleash Your Best Work Every Day, Todd travels the globe like a creative arms dealer to equip people and companies with the right systems and habits that lead to everyday brilliance. Jeffrey Davis at Tracking Wonder put together a program to help business artists plan for 2015 in an unusual way. Quest 2015 consists of a community of people and prompts that are sent out for people to respond to 12 times during the month of December. Part of the community building is through sharing blog posts, so I will be posting more frequently between now and the end of my reflections. After the 12 reflection posts, I’ll be back to my regular, irregular posting schedule. 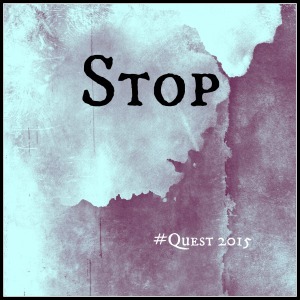 The fifth prompt for reflection in Quest 2015 comes from Charlie Gilkey. One of the benefits of starting this process late is that I have had a chance to see many other people’s responses to this prompt. I have seen people talk about actively stopping doing things and have seen people commit to stopping pussyfooting around or playing small. It is time for me to stop getting in my own way. I need to stop feeling confined to my desk. I need to stop letting the fact that I work from home become a force of distraction. I need to stop doing housework during work hours and work during home hours. I need to set alarms and reminders on my phone to keep me on track. I need to check in with my accountability buddy and practice what I preach. And, I need to stop discounting my body wisdom which tells me that a 30-minute walk by Lake Ontario most days is an essential part of my creative productivity. The photo project I mentioned last week is part of claiming that truth for myself. I have started the photo selection process. The fourth prompt for reflection in Quest 2015 comes from Pam Houston. This question is the easiest of the prompts so far because it is a specific application of a practice that I have been doing for years, a practice that embraces many of the fundamental principles of InterPlay. Notice, Notice, Notice: Pay attention to what is, with a particular emphasis on your embodied experience of the good things. Inner Authority: Claim that knowing. What you experience in your body IS true for you. You are the only person who can speak to the truth of your experience. Body Data, Body Knowledge, Body Wisdom: What you notice about your lived experience in a single moment is a unit of body data. When you collect data over time, you can see patterns and build up a catalog of body knowledge. And, with a library of body knowledge at your disposal, you can exercise body wisdom by making choices that serve your greater good. In InterPlay, we often talk about body wisdom in relationship to making choices that serve our sense of grace, which we define as the physical experience that is the opposite of stress. When Pam Houston is talking about heart leaps, I think she is suggesting a slightly more ambitious possibility for life design. She is not talking about ease and flow, two concepts closely related to grace. She is talking about that stretch us into awe and wonder. In many cases, these moments call us to grow in love and connection to the world and this growth is not always easy. In many cases, the things that make our hearts leap create a good kind of stress, eustress as opposed to distress. For me, the things that make my heart leap are creative breakthroughs, deep connections with friends, laughter and smiles with my children, and the beauty of nature. I can cultivate opportunities for all of these. I can choose to take my free time to connect with people I already have deep relationships with. I can return to the page, editing my fiction, over and over again. I can be present with my children when I am in the room with them. And, I can make sure that my week has many walks in natural settings. And, most importantly, I can keep noticing my experience and shift what I do if things no longer bring me grace or joy. According to her bio, Pam Houston is the beloved author of four books including novel Contents May Have Shifted and the interconnected short stories Cowboys Are My Weakness. She is Professor of English at UC Davis, directs the literary nonprofit Writing By Writers, and teaches in The Pacific University low residency MFA program. Embracing my own imperfection and learning to ask for critical feedback is one of my biggest growing edges at the moment. After decades of trying to look perfect, I am discovering the power of showing others my flaws. The result is better work, deeper friendships, and a more pervasive sense of ease in my life. A week or so ago, I found myself saying to a friend about something I wrote, “What I really want to know is where you disagree with me.” And I meant it. I want to conquer the sloppy thinking that I got in the habit of during my years of education where sloppy was good enough. Somewhere in my childhood, I adopted an expectation that I should be perfect. I did not develop skills for working through failure to success because success came easily. I got As in school without trying. Although this sounds nice to people who haven’t lived it, it had a serious drawback. I never learned to work hard for anything; in fact, I learned to run away from challenges and give up easily. For most people, school provides many opportunities to practice tackling material beyond easy comprehension. For me, I didn’t reach that until the mathematics classes I took after calculus. By then, mathematics was optional for my education and I dropped math completely because I figured I just wasn’t good at math. The fact that I was 17 and doing advanced college mathematics didn’t register at all. The truth was that I was excellent at math, but I had never had to work at it so I had no idea how to approach a challenging problem. Later, at Harvard Law School, I figured out that I could graduate with low honors by showing up in class and spending a week each semester studying for exams or I could study all day long and maybe do a little better. I chose to spend my time in rehearsal instead of the library. Luckily, the hurdles to jump if you want to traditionally publish fiction are immense. Despite starting with a modicum of talent, I have had to work hard to improve my writing and learn how to overcome my own limitations. Learning to accept critiques of my stories has allowed my writing to improve much faster than I could have figured out on my own. But, more importantly, it has taught me a huge amount about making deep connections between people. Showing early drafts to others necessarily reveals your imperfection. The whole point is to put your weak work out there for people to see, to point out what can be improved. By its very nature, the process puts a spotlight on your current failure to meet your own goal. Creative work comes from our deep selves. Even though good critique focuses on the work itself, the work is so personal that I feel exposed when I share. By talking with people about the weaknesses in the work, I reveal the weaknesses in my thinking processes, my writing skills, and my understanding of people and the world. When the critique focuses on the work and the reader’s experience of the work, the pressure is taken off the writer’s psyche. And, at the same time, the acceptance of the work as it is invites acceptance of the writer as they are. And, when a small group of people do this work together, an intimacy develops. It starts with care for each other’s work, but becomes a connection between individuals, mediated by the work. Embracing imperfection in myself and sharing my insecurities and challenges with people lets them see me, not my persona, my deeper self. And this is transformative. It is when this deeper self gets seen and witnessed without judgement that we develop both deeper acceptance of ourselves and intimate connections with others. We have to risk being judged in order to be seen at all. I have learned this lesson in an intellectual way through my writing and through learning to accept critique. However, intellectual learning is not enough for deep change. Carl Jung wrote in The Undiscovered Self that a person must have inner experiences of their deep self to maintain freedom and autonomy in the face of the inevitable social structures that pressure individuals to become bodies performing social roles. This deep self is that vulnerable, imperfect, unique individual. InterPlay has given me fully embodied inner experiences of being acceptable in my vulnerable imperfection. One of the gifts of InterPlay is that leaders create invitations for the individual to show up as much or as little as the participant wants. In a group setting, nervous newcomers often discover their own willingness to let themselves be seen by observing others as they share themselves and are fully witnessed. In a one-on-one coaching environment, the coach creates the invitation more directly, but still gently. I have taken decades to learn how to ask for help, so I have learned everything the hard way. 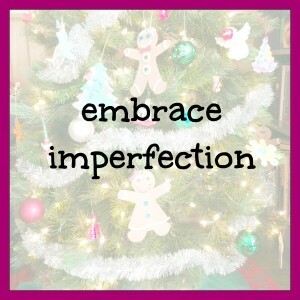 It is amazing how much faster and easier change is when I embrace my imperfections and address them directly. And the indirect benefit of becoming more deeply connected with people and more at ease with myself is the best part of the whole process. The principles and practices of InterPlay are the foundations of my coaching practice. To experience the power of this approach for yourself, join me for a free Focus Session. I have a bad habit of letting fear paralyze me. The reasons for this are deeply rooted in my subjective experience during childhood and many of them have very little to do with either objective reality or the present. And, digging into the past to uncover the whys and wherefores of this habit is truly less important that figuring out how to change the habit. I have many of the same basic fears as every other human – of dying, being abandoned, not being loved, losing loved ones, not having enough food, safety, shelter, etc. 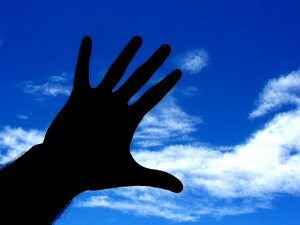 My fears that are more personal to me come from the intersection of the more general fears and my personal experience. So, having been praised for good grades and stellar academic work as I child, I connected a sense of love from my family with perfect performance at school. Eventually, this warped into a perceived need to be perfect in my achievements in order to be loved. From my current perspective, I know that this is not true. I have seen my family embrace imperfect people with deep love, but the conclusions I came to as a child about how the world works still hold sway in my subconscious processing. Over the decades, I have shied away from many opportunities because I feared I would not be seen as competent at first. I have a perennial discomfort with things I do not know or understand. As a result, I have not stretched far enough out of my own comfort zone to grow into the person I always hoped I would be. But, I keep growing. As I get older, I see the value in stretching beyond my comfort zone, and through practice, the experience of stretching is slowly becoming part of my comfort zone. And, as a result, I am developing courage and grit in new and beneficial ways. For me, fear often shows up as procrastination. If there is something I think I want to do but don’t do, there is often a fear behind it. Fear shows up as emotional numbness. If I stop enjoying things that usually bring me pleasure, I maybe blocking uncomfortable feelings. For me, fear and anger are the two most likely culprits. If it is a rational fear, take what steps you can to mitigate the risks involved. Do something that is part of the task triggering the fear. A small step is often enough to get over the emotional speedbump that is stopping you. Over time, the power that fear has over you will diminish. How do I know? Because years of practice as an actor have taught me how to move forward in performance and public speaking despite fear. I know that these simple to explain, but not always so easy to do, steps applied in any one fear-making direction will eventually change my comfort zone. 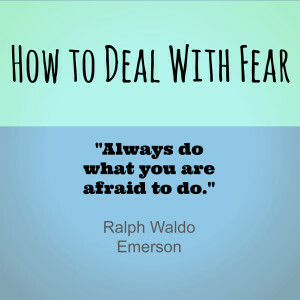 And, I know from my own experience that my art, my work, and my personal life all benefit from this approach to not letting fear stand in my way. I am always interesting in learning how to move past fear. What do you use to move forward when courage is required? I have been spending time recently with too many men who have been damaged by the expectations placed on men to be “manly”. In some cases, these men are struggling to find new definitions of manliness that allow them to be emotionally alive, but in others, they are struggling to be stronger and tougher than feels natural to them to meet some ideal they have absorbed as a goal. These men are not comfortable with what is going on and are yearning for a more authentic way of being in the world. The biggest sign of this is that they are opening up and talking about it – in a world that does not encourage men to talk, and especially not about feelings. Some men don’t even realize that they have been damaged, but demonstrate the damage by acting inauthentically; covering up emotions they fear would make them appear weak. Unfortunately, instead of coming across as tough and manly, these guys just look like assholes. But, they don’t realize that this is what is happening, so they don’t know how to transform from creep to cool. There is a push back towards gendered expectations in North America. The war on women being fought by the Republican party in the United States is trying to drive women back into the dark ages. And women are fighting back. I see a lot of justifiable anger from mothers of daughters who are being pushed to absorb limiting ideas of what a girl or woman can be. I see less anger about the damage that is being inflicted on their sons. I have sons and I hate seeing them pushed into roles that do not suit them. Even my most typically boyish son is deeply emotional, but he is absorbing the “guys play with guns and balls and don’t express emotions” expectations of the society around him. My two deeply emotional, sensitive, and creative boys are struggling to find any place for themselves in this world. They do not want to become competitive and tough. They want to stay open to the wonders and beauty in the world. The most recent research tells us men and women are psychologically more alike than different. A social construction of gender expectations that posits men and women as fundamentally different denies the experience of large numbers of men and women. Every individual has a particular constellation of psychological traits, traits that are not determined by gender. Only by recognizing people as individuals and treating them as such can people be free to live psychologically healthy lives. Gender equality and avoidance of gender stereotyping opens up options for men to be true to themselves and their own personalities and desires, just as the fight for gender equality has opened realms to women. In my years of InterPlaying, I have been privileged to watch many men embracing their whole selves and it is always a powerful transformation to watch. By allowing themselves to be whole, these men I have worked and played with have invariably become stronger, more grounded, and more effective in their lives. And it all starts with stepping out of the straight-jacket of gender expectations and looking at the actual data of their own lived experience to discover who they are. I want evidence that my work has touched another life. I used to say I would know I had succeeded when I found my work quoted in places I had no direct connection to, but that no longer seems like the ideal measurement of success. Simpler things matter more now. When my son tears through the first 3/4 of my novel in a morning and tells me, “I love it,” I have succeeded. When an acting student asks when I am teaching again because he wants to learn more from me, I have succeeded. When I help a friend find a new and easier approach to challenging work, I have succeeded. But, there is still something very cool about having my work out in public spaces that reach strangers. Which brings me to Wikipedia. If you had asked me two weeks ago if I could be found on Wikipedia, I would have said absolutely not. I would have been wrong. Don’t misunderstand me, there is no entry with my name, but my maiden name is in the bibliographic notes on two entries. I discovered this while web-surfing. My friend, horror writer Tobin Elliott, mentioned that Omni back issues are available online–and they are, at the Internet Archive. As I scanned the Omni back issues, I reflected on my first interactions with the Internet Archive. I met Brewster Kahle, founder of the Internet Archive, while I was working as the Government Affairs Coordinator for the Interactive Multimedia Association. One of my jobs was to edit the proceedings of a conference on using technology to manage intellectual property in the digital age. Kahle had presented a paper at the conference, so I worked with him as part of that project. In March of 1997, the volume I edited was listed as “Further Reading” in connection with an article in Scientific American written by Mark Stefik, another of the presenters at that conference. Thinking about the article, I wondered if it was available online, so I went surfing. After discovering that the same volume of proceedings was cited in the Wikipedia article about yet another of the presenters, Douglas Armati, I typed my name into the search box on Wikipedia, just for kicks. To my surprise, there I was, in a citation to an article I wrote on the 16th century Anabaptist leader John of Leiden as part of a history class at Starr King School for the Ministry. It is an obscure paper on an obscure topic. I wrote the paper because I was fascinated by the idea that polygamy was mandated in a city-state for a brief period during the Protestant Reformation. I hardly gave it any thought when my professor asked for permission to publish it online. And, there it is, sitting on the Internet having a little life of its own. Shortly after it was published, a friend of mine found it, read it, and wrote a play inspired by it. But he found it because he knew me and Googled me. The citation on Wikipedia had nothing at all to do with me. But, is it success? It certainly fits the “quotation of my work without my direct contribution” criteria, so maybe it is. Whatever it is, it made my day when I discovered it. And now, like with every goal that gets achieved, I have new and different tasks I want to check off my “only in my mind and always changing” bucket list. There is a marketing movement afoot to sell things to women by telling them a product or service will help them “Embrace Your Inner Goddess,” “Be the Goddess You Already Are,” or other such nonsense. The implication is that this will be good for women, but I think it is misguided. I have no idea what a Goddess would be or look like, but I’m pretty sure I would hate to be one. Looking at religion and mythology, there are two different kinds of Gods and Goddesses. The omnipresent divinity, whether male, female, or somehow both, is either a Big Brother, eye-in-the-sky observer or an energy that is present within each element of reality. Either way, I can’t reconcile the idea of being that kind of godhead with the reality that I live in a human body with human limitations. So, I turn to the other sorts of Gods and Goddesses, the ones who function as models of psychological archetypes. And I wouldn’t want to be any of them either. Stuck in one, or maybe two, modes of functioning, each God or Goddess is incomplete, the image of merely one facet of human personality. True humans are complex muddles of desires, limitations, vices, and virtues. A rich understanding of self requires acknowledging the fullness of our complexity, embracing the oddities, the quirks, the inconsistencies within us. 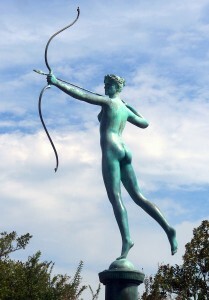 No archetypical Goddess has the full richness of humanity and no omnipresent Goddess faces the limitations of a single body and a single set of experiences that form each unique human being. The argument for using Goddess talk to empower women claims that in order to value women, we must reclaim the value of the feminine that has been suppressed under patriarchy; we must celebrate the feminine and Goddess imagery is the ultimate celebration of femininity. The trouble is, there is no such thing as femininity. 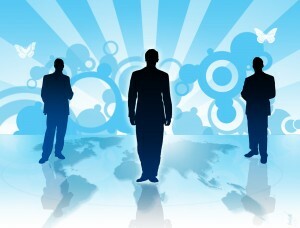 Psychologically, men and women are more similar than different. Physically, there are distinct differences between men and women, but the association of certain certain psychological traits with men and others with women does a disservice to everyone. Love, compassion, nurturing, and capacity for sacrifice are not feminine traits. They are human traits. Emotional depths and intuitive knowing are not feminine traits. They are human traits. They are undervalued components of humanity and have been projected onto undervalued humans, but they are universal. Like all human characteristics, different people embody them in different proportions, and their expression can be encouraged or discouraged by society. The people I want to spend my time with are driven, passionate, strong, interdependent, and compassionate. Whether they are men or women is irrelevant. But, because I include both driven and compassionate in my list of desirable traits, I tend to hang out with people who float around in the gap between gender stereotypes – people who express the mix of human richness. The best way to empower women is to empower people, whole people: strong, driven independent women: soft, compassionate, nurturing men; gentle women; tough guys; everybody. Generally, when women are encouraged to embrace their inner goddess, they are being encouraged to value the part of their personality that is categorized as feminine instead of other parts of their personalities. Which brings me to fluffy bunnies. The term fluffy bunny is used as a term for someone focused on love and light, often in the context of Wicca, without respect for the darkness that is also part of the natural order. Fluffy bunnies are naive, with unrealistic views of the good within the world. In the context of Wicca, this often shows up as an emphasis on soft, nurturing, mother goddess. Have you ever seen an angry mother rise up to defend or protect her child or a tough mother pushing her child to embrace a risk or challenge in order to grow into a strong adult? Mothers can be tough, vengeful, angry, and stubborn – and that can be a good thing. And that’s just mothers. Women undertake many roles in life and there is room for softness and toughness in all of them. I find most people who encourage women to see themselves as goddesses believe that valuing compassion and connection will make the world a better place and that this can be done by embracing goddess imagery. I don’t disagree on the value of compassion and connection, but I don’t see goddess imagery as the best way to get there. For one thing, either a goddess is a limited slice of nature or she is all of nature: good, bad and indifferent. Neither is a useful analogy to the limited complexity of humanity. I would rather we get away from the whole idea and start embracing the wondrous complexity of the human.